Cross the SharePoint site barrier. 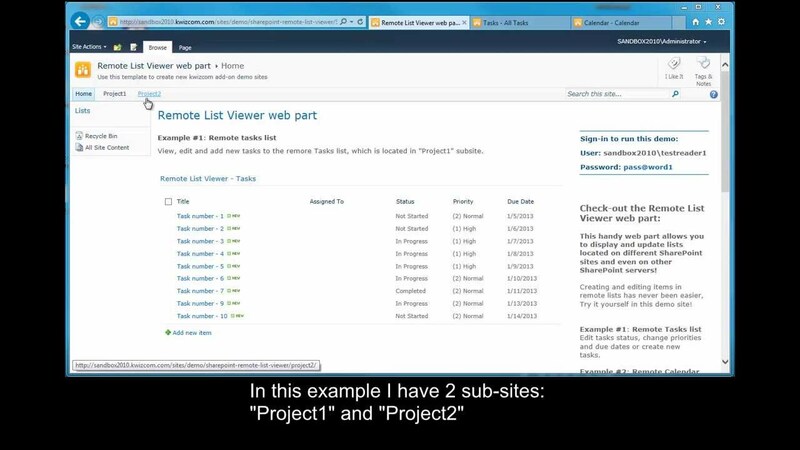 . .
SharePoint does not let users work with lists that are not located in the same site. Common tasks such as adding or updating items or registering for alerts are just not available unless they switch sites. KWizCom’s SharePoint Remote List Viewer web part gives users access to lists that are located on other SharePoint sites, allowing them to use these lists as if they were local! Many SharePoint implementations use lists that are physically located in different sites, or even on different SharePoint servers. For example, a CRM management dashboard needs to show list views that are located in both the sales site and support site. With KWizCom’s SharePoint Remote List Viewer web part you can implement a dashboard for end users to view and manage information in those lists, no matter where they are located.